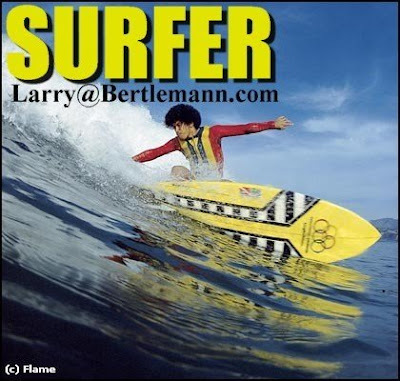 My new Facebook friend, Larry Bertlemann, has just released a beautiful new range of reproductions of his famous collection. 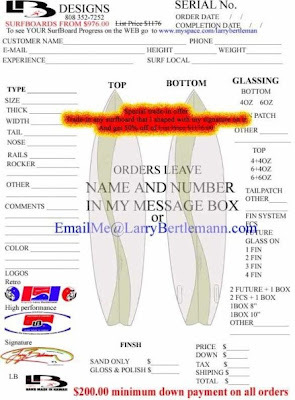 Theres an order form at the end. 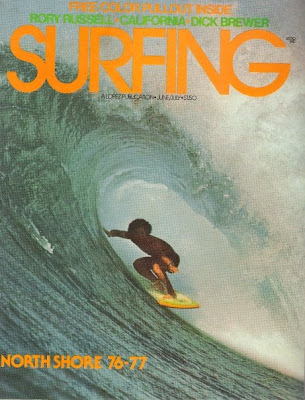 Growing up surfing here in Los Angeles as a goofy footer (Zuma's Drain Pipe lefts, Malibu's 3rd point lefts, Zero's lefts and the South Bay) in the mid 70's through the 80's it was all about doing the "Bertlemann" and 360's after a contest at Malibu one summer that I witnessed. 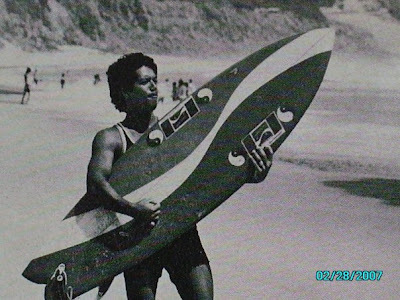 After seeing the most beautiful cutback ever, which is done by every surfer in the world now and the very powerful looking 360's, the rest of that summer was spent learning how to do these moves and others that filled my mind because of the "Bertlemann" and Larry's 360's that got my mind kick started. 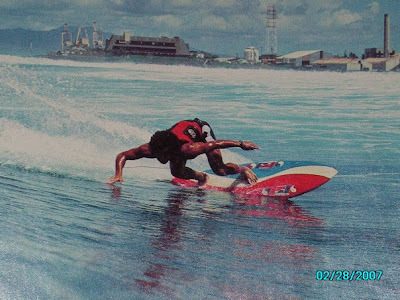 I can't remember the year, 78, 79 or 80 but the contest was at 3rd point Malibu during that summer and Larry was in it and was pulling off 360's and those beautiful cutbacks that changed my entire summer that year, all I did for the next 6 months was learn how to do 360's, this was being done on a 6'2" single fin which was probably the worse type of board to do 360's on but it did the "Bertlemann" every time! 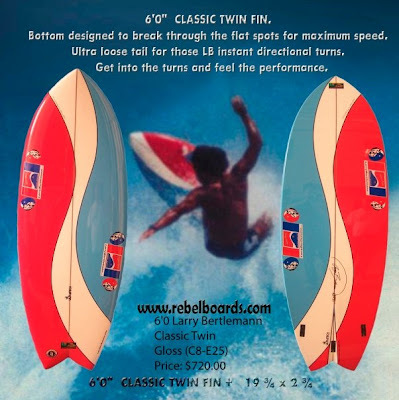 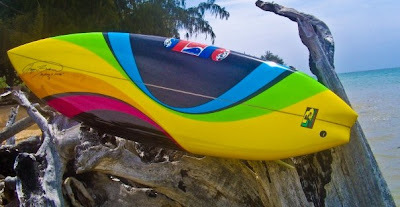 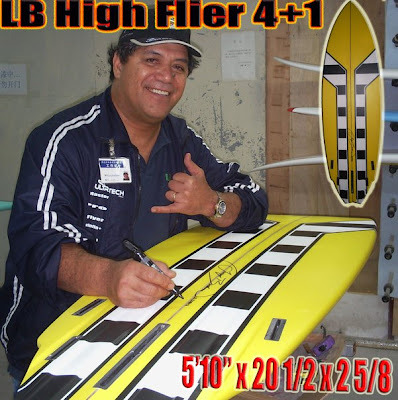 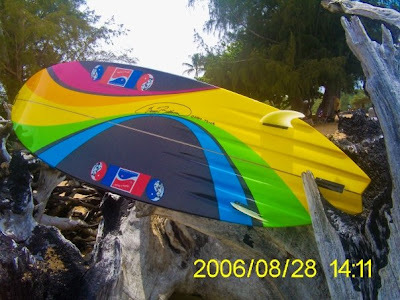 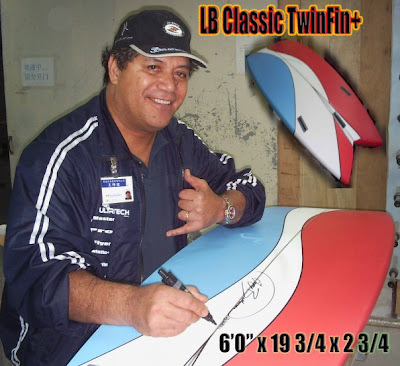 I got the 360 make percentage to about 25% in 2 months but If I had my Rick's Surfboards 5'6" fish that had the exact shape as the red, white and blue board at the top of this page that I learned on at 13, (13, I was 5'5", 125 lbs, extremely flexible and athletic) the 360's would of been a lot easier with a make percentage a lot higher but that board had been stolen on a San Diego surf trip while at Blacks a summer before! 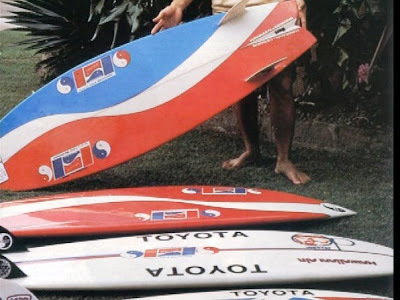 So I'd like to thank Larry for many summers of fun and innovation as I was growing up. 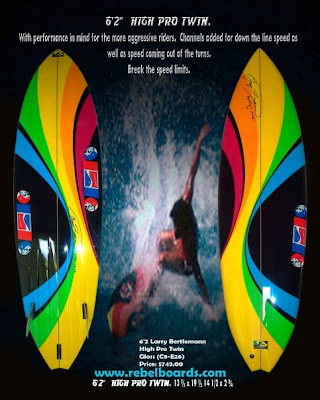 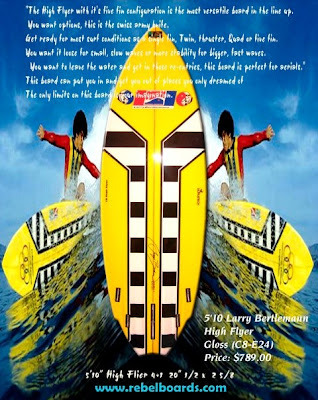 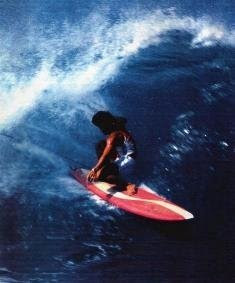 I think there would have been many boring days out in the water without people like Larry around filling our young minds with futuristic moves and style that was years ahead of it's time!